Hell hath no fury like a customer scorned! In a series of recent studies, it is customers who have been “penalized, fined or otherwise disciplined by an organization or company” who are the most likely to retaliate or take revenge on the company. I read this with great interest and of course had to find out more. Think of Apple Inc. [updateone of the largest and most valuable technology companies in the world. 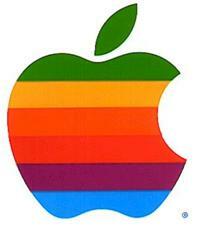 Established in 1976, Apple [has over 50,000 employees and annual sales of $65.23 billion. Their product lines (and Steve Jobs!!) are nothing less than impressive, think of the Mac, the iPod, iPhone and now the iPad. Apple has a unique reputation in the consumer electronics industry and a customer base that is devoted to Steve and the brand. Apple evokes huge brand loyalty (and dismay at Steve’s retirement) . But, on the flip side of this loyalty, their customers are more likely to lash out when dissatisfied with the mighty Apple. Research shows that about 10% of dissatisfied customers are likely to lash out publically. This sounds a lot like library customers to me. What can we learn from the Apple example? Using social media, a dissatisfied library customer can reach a huge population and inflict significant damage on a library very quickly. What do we need to do in library land to mitigate these attracts? First…it’s painfully obvious, but libraries need to be plugged into Twitter, Facebook….. To accommodate this, (with no new money in our budgets) we may have to let go of some traditional communication methods (like the bookmark!!!) so we have the cash to use digital communication channels. As library leaders, we need to move quickly to acknowledge the feeling of the angry or disappointed customer. Waiting will only make it worse. And when all else fails never underestimate the power of listening to the whole story beginning to end and offering a simple “I apologize, thanks for bringing this to the libraries attention”. Hell hath no fury like a library customer scorned! !